The mighty mountains in Himalayas stand tall with pride! They are encapsulated by snow peaks, verdant valleys, enchanting lakes, deep gorges, thundering rivers, ancient temples, flower carpeted meadows and magnificent monasteries! These natural assets open the heavenly paradise for travellers as they can soak the beauty of nature and savour the serene surroundings. The snow-laden Himalayan ranges offer spectacular landscape which is treat to the eyes. If you are a sport enthusiast, you can also enjoy trekking, mountaineering, para gliding, skiing, golf, river rafting etc. and lot many other sports activities in this paradise. The salubrious weather in Himachal Pradesh makes a unique proposition. The best months to visit this state are April, May and June. The weather is perfect to explore beautiful destinations in these months. These are a few of the perfect months for mountaineering and can also serve the best option for nature walk. By Air: There are three airports in Himachal Pradesh at Bhuntar, Gaggal and Jubbarhatti. They connect Himachal Pradesh with Delhi as well as Chandigarh. By Rail: Kalka is an important station connecting Himachal to other states. Another link is a narrow-gauge railway track connecting Kalka to Shimla. Also, the longest railway line links Pathankot to Jogindernagar. Many other rail routes which pass through significant destinations. By Road: The road network of Himachal Pradesh, is well-connected to main cities of North India. There are many Deluxe buses plied by state tourism which connects to the towns and cities of Punjab, Rajasthan, Haryana and Uttar Pradesh. During monsoons, a few roads are closed due to landslides. Hence one needs to be careful. Shimla remains to be on the top of holidayers’ list. No matter if it is winters,summers, autumn or rains, this hill station woos you with its charisma all through the year. However, it’s the summer months which entice the travellers to this place. You will find both the leisure scrapers and the international travellers flocking in equal numbers to Shimla in all seasons. While the monsoons display the lush greenery around, installing adrenaline rush element among the tourists, the autumns give travellers the liberty to know more about the colonial heritage here as the weather is cool. And in winter, you can see how snow covers the entire city with its thick blanket. Those seeking adventure can visit this place in rains. Also you can indulge in knowing more about the colonial heritage in Shimla by visiting monuments such as the gorgeous Christ Church and a marvellous Wildflower Hall (which is now a heritage property). The other places in the city which are tourist hotspots are temples named Jakhoo and Tara Devi; You could also visit lot may attractive shops at a famous shopping lane called as Mall Road. It is a paradise for shoppers and carries all kinds of stuff such as art, crafts, clothes, hotels and restaurants. Nature gives you the best in the form of the mesmerizing Chadwick Waterfalls. The presence of widespread Daranghati Sanctuary is blessing for those loving wildlife. Also you can enjoy skiing in Kufri, which can be reached in an hour from Shimla. Fun comes with adventure when you are here. The destination also houses something special for those who want to enjoy serene surroundings. They can visit Chail, which is 45-km distance from Shimla. Nature has blessed Manali in all its forms. If you want to view the scenic meadows, dense forest of alpine trees, tall deodar, pine trees and orchards of fruits such as plum, apple and pear, all at one place, you should visit Manali which is situated at 2,050 meters height in Kullu. It opens gateway to many beautiful as well as remote places of Himachal Pradesh. Also if you want to get engaged in adventure activities, this could be the best place for you. The destination comes as a blessing for experienced and amateur trekkers by giving them an opportunity to trek through famous trails. A few of them include the Beas Kund Trek, Chandra Tal Trek, Bhrigu Lake trek and Malana Trek. The beauty spread around in the form of natural assets will leave you speechless. The ancient Hidimba Temple and Bijli Mahadev are must to visit spots. Also you should visit the gorgeous Pandoh Dam, the Manali Sanctuary spreading far and wide, and the magnificent Mall which makes a few favorites of the tourists here. The must-visit location of the place is Rohtang Pass. The stupendous 4000-metre height makes it one of the highest points in the region. And yes, Solang Valley is another best skiing destination in India which should be referred here in this context. Kullu also exists as a beautiful valley which has made a mark on international map via Kullu embroidery. The European architecture could be seen in full bloom in this city which carries all shades of colonial culture. Situated at a height of 1090 meters, there are evidences to the existence of this city in the early 19th century. Many pretty churches in its vicinity will leave you stunned with its architecture. A few of them to be named here are St. Andrew’s Church, St. Francis’ Church, St. Patrick’s Church and St. John’s Church. On the other hand, there are many monuments which speak of the Hindu traditions, culture, history and heritage as well. The Chamunda Devi Temple, Rang Mahal, etc. should be visited to know more about the Hindu culture and architecture. Those who are crazy for nature and wildlife will feel blessed to be here. This town is situated in the middle of thick oak forest which also houses a large number of pine as well as deodar trees in Dhauladar range, which enchants you with its beauty. Those interested to explore fauna and flora could also visit the Kalatop Wildlife Sanctuary, situated at a 5-km stretch from Dalhousie and opens its gateway to different treks which are visited by trekkers in big numbers here. A paradise for those seeking adventure and leisure, Dharamshala serves the purpose of wooing those who love architecture, culture and nature. The pristine view of the beautiful snow-capped Dhauladar range’s mountain peaks are easily seen from short distance. You could also see the beauty of dense forests of pine and deodar trees which are spread around. It nestles in the higher reaches of Himachal Pradesh of Kangra Valley and is the 14th Dalai Lama’s seat. There are tall deodar trees surrounding the town. You could see lot many Tibetan refugees around. Tourists from India and abroad flock here in equal numbers to know more about the Tibetan culture and heritage. Kangra and Nurpur Fort, the two magnanimous forts, which exist at a 66 kilometers stretch from Dharamshala, are must to visit; there is War Memorial which has been dedicated to the brave armymen who sacrificed their lives in different wars of India-China and the India-Pakistan. The other attractions here are Chamunda Devi Temple which is a must-to- visit attraction for devotees; Kangra Art Museum, Library of Tibetan Works etc. should be visited by all history buffs. An international cricket stadium situated in Dhauladar range is yet another place to be visited. You will be surprised to see the blend of Indian and Tibetan culture here. And the best place to see it is at the Namgyal Monastery which is yet another site to explore here. It was built in 16th century. River Beas gives you an opportunity for angling. The hill station is surrounded by many other renowned attractions such as Bajreshwari temple, Triund, Gyuto Monastery, Kumar Pathri, etc. As white as snow! This adage fits the best in Rohtang Pass. Situated at 3979 metres of height at 51-km stretch from Manali, Rohtang Pass is situated on the highway going to Keylong/Leh. While it opens trek to beautiful places such as Pangi, Lahaul Spiti, and Leh, it remains open from June to October but in winters, it is closed. The best time to visit the pass is from the months of May-June to the months of October or November. May is the time when this place becomes the hotspot for adventure enthusiasts. Many activities like skiing, snow scooter and mountain biking can also be enjoyed here. There are beautiful views of glaciers as well. And gushing waters from the rivers in the Lahaul valley give a pretty view. Rahala waterfall, at 16-km stretch, from Manali is yet another attraction on way to Rohtang Pass. Water slides down from 2,500 metres height and gives a beautiful view. A pleasant climate and pristine nature will make you fall in love with this place. Solan, is the name derived from the world Shoolini Devi, which is the main deity here. The place is also known as ‘Mushroom city of India’ due to large scale production of mushroom here. Situated at a stretch of 18-km from Dharamsala, Kangra has once been a princely state which is now existing as a bustling town. It’s basically a day’s trip from McLeod Ganj. This could be termed as land of shaktipeeths and forts, which has seen the art and craft growing to its peak and the rich culture has taken this town on international map. Brajeshwari Devi Temple is one among the 51 Shakti peeths. Also there is a 1000-year-old Kangra Fort which has seen changing hands of several dynasties over the years. It has been ruled by Hindu kings, Sikhs and Mughals and Britishers before the earthquake rocked here in 1905. It is a picturesque town with lot of natural assets spread around. Located on River Sutlej’s shores on the outer hills, this city came into existence in 1663 and is the first planned hill town of the country. Vyas Caves, Bhakra Dam, Bachhretu Fort, Naina Devi temple, Gobind Sagar Lake etc. are a few attractions which can be visited by tourists. These constitute the mesmerizing places which enjoy rich cultural heritage. A princely state once, it dates back to 7th century and was once called as Kahlur. Serving as a base camp for many treks in Himachal Pradesh, this place is seen nestled at 1,650 meters of height in the Parvati Valley. This hill station has many beautiful locations which make it a favorite for tourists. A few of the treks which are most visited by trekkers include the Yanker Pass, the Sar Pass, Khiri Ganga and Pin Parvati Pass. A culturally enticing city bestowed with magnificent forts and temples has drawn the attention of tourists from across the world. There are plenty of pleasant surprises in the city in the form of natural sceneries, pilgrimages and fortified forts. As Raja Hamir Chand ruled here from 1700 AD to 1740, the town derived its name from him who was the main ruler. You can enjoy trekking, river rafting, Paragliding and angling near Sujanpur Palace. The pleasant weather throughout the year has made it a favourite destination for tourists. A fort known as Killa exists here which is said to be the ancestral home of Guru Nanak Dev’s descendants. Chintpurni Temple situated here is one of the key Shakti Pithas. The other religious attractions of this pretty place are Shiv Bari, Dera Baba Rudru Ashram, Dhyunsar Mahadev Temple, Baba Barbhag Singh Temple, Baba Rudranand Ashram and Bangana Lathian Piplu. These are the twin valleys who have got many temples and monasteries in its vicinity. These valleys can be best visited from April to October. While Lahaul area is fertile, it remains covered with lush greenery, however, Spiti appears mostly like a desert. The barren mountains and snow-fed glaciers present a crystal clear features of the two contradictory places. This is what makes the region much more beautiful. The entire distance of about 115 km between the Manali city and Keylong, which is the district headquarter of the Lahaul valley, can be done within an approximate time of 6 hours. It’s a ‘milk and honey valley’ which is known for its meadows, streams, temples, rumal (handkerchief) paintings, and lakes. At 926 metres in height, it houses three ranges, namely the Dhauladhar range, the Pir Panjal range and the Zanskar range. It lies on shores of Ravi river and has magnificent temples dedicated to Lord Shiva and Vishnu. The snow-clad mountain barriers prevented it from invaders, and hence it was successful in preserving its culture. Today, it boasts of the best preserved heartlands of Himalayan arts. There are beautiful tea gardens and pine forests surrounding this pretty town in Kangra Valley. The pine-scented air has curative properties. With high ranges of Dhauladhar in its background, Palampur promises cool surroundings as well as pure air. Beer, Baijnath and Neugal Khad are famous attractions here. A trekkers paradise, Kufri is situated 20-km from Shimla. It is the starting point for many treks such as Shimla, Fagu, Manali, etc, and hence is thronged by many tourists. It has shot to fame as a tourist destination in last few decades. Founded in 1819 by Britishers, its name is derived from the word, Kufr, which means lake. Mahasu Peak, Indira Tourist Park etc. are some of the attractions here. An amazing landscape blessed with lakes, pastures and forests, it lies at 24-km stretch from Dalhousie at a height of 2,000 meters. This location gives you a chance of camping in Himachal Pradesh by putting your tent in the middle of jungle. Khajjiar Lake and Khajji Nag Temple are other attractions here. This Land of Monasteries has retained the old-world charm of Buddhist monuments by following the ancient culture. A heaven for bikers and adventure seekers, it is surrounded by snow-laden mountain peaks. A few must-to- visit attractions here are Kardang Monastery, Baralacha Pass, Suraj Tal, Deepak Tal etc. The hill station stands at a height of 3350 metre above sea level in Himachal Pradesh and can make you spoilt for choice with its scenic locations. 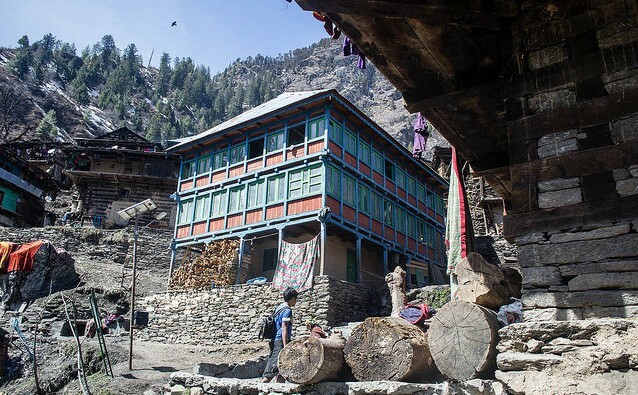 In a modern era, there remains a remote village in the North East Kullu range, which is isolated in itself. This village has gained enormous name it being a production Centre for ‘charas. Those loving hashish has been coming here from across the world. It enjoys one of the oldest standing democracies as the village manages its own affairs. It houses two majestic peaks, Chandrakhani and Deotibba. Here, the residents won’t allow you to touch the walls and if you manage to do that, you will be fined. Situated at 3,029 meters of height, it can be accessed and explored by foot. In all these years, battling all challenges of times, Malana has managed to preserve its rich and ancient culture which is indigenous. Presently, it is home to over two hundred houses made of stone roof. If you are looking to visit a destination where you can enjoy scenic locations, trekking as well as nature walks, you should visit Sangla which exists at 2,700 meters of height in Kinnaur district. The vast spread apple orchards and cattle farms, which have become a part of the valley’s serene environment, will leave you mesmerised with its beauty. You can go on a shopping spree to buy tweeds, Kinnauri shawls, woolen socks, silver jewellery, etc. Bangla stands opposite to Baspa valley which is yet again a must-visit destination. Sangla is the starting point for many beautiful treks which include the Kinnaur-Kailash Circuit, Rupin Pass trek and Sangla-Kanda trek. Kamru Fort, Rakcham village and Trout Fish Firm are other attractions here. This enjoys the tag of being a renowned shrine for Hindu as well as Sikh devotees. Situated at 1,760 meters of height, it consists of many temples and gurdwaras. Devotees can be seen taking dips in several hot water springs here. One of the remote villages, it is house to many monasteries including the renowned Sakya Tangyud Monastery. Standing at a height of 3,231 metres in the Lahaul-Spiti district, there are many other tourist attractions here which include another famous Ki monastery. You also have the chance to explore the other remote villages which include Gette, Kibber, Losar and Langza. Crowned as one among the best spots for paragliding in the world, Bir has been hosting the World Paragliding Championship each year. It is also a spiritual studies and meditation Centre. A major Tibetan community settlement exists here. The adventure-sports activities and paragliding spots are a few of the common activities being pursued here. Blessed with apple orchards, pine and deodar forests, Kalpa stands at 2,960 meters of height and has many ancient Hindu and Buddhist temples. Some rich architecture work could be seen in the form of Kamru Fort, Naga Temple, and Sapni Fort. You could go for hiking from the Chini village. The panoramic view of Kinner Kailash Peak from 6,500 meters of height will leave you speechless with its beauty. Are you aware that India houses the world’s highest cricket pitch as well as the polo ground? Yes, this is true and this highest cricket pitch and polo ground are situated in none another city than Chail. It’s a magnificent place surrounded by deodar forests. It also houses a pretty palace, beautiful cottages, thick forests, and a children’s park. Some of the best sightseeing locations exist here. Some fishing and trekking activities can also be taken up here. Chail exists at 2226 m in height. Situated in low rolling Shiwalik hills, it is a beautiful destination blessed with scenic locations. It forms an excellent base to reach famous garden at Pinjore which exists in Mughal style. The nearby hill stations are Dagshai which is 28 km from here, Kasauli which is 37 kilometre from here and Sabbath which is at 45 km stretch from here. It’s a kind of cold desert national park as the temperature remains sub-zero and the rivers are semi-frozen here. There is a reserve forming an interface between Lahaul and Spiti divisions. With a view to preserve the unique Himalayan flora and fauna, it was formed and is home to snow leopard, and ibex, its prey. Trekking here should only be taken up by adventurous, spirited and fit men. You can also find some world-famous monasteries here. The Great Himalayan National Park Conservation Area (GHNPCA) has been crowned as a Natural Site and has been tagged under the UNESCO World Heritage List. The inscription confirms the site as the most important habitat for conserving the Western Himalayan biological diversity. Located in Kullu, the Great Himalayan National Park (GHNP) is home to diverse species. Initially, it was established in the year 1984. However, it was formally declared as a National Park in 1999. In 2010, the Khirganga National Park was established in Himachal Pradesh which covers a total area of around 710 square kilometres. 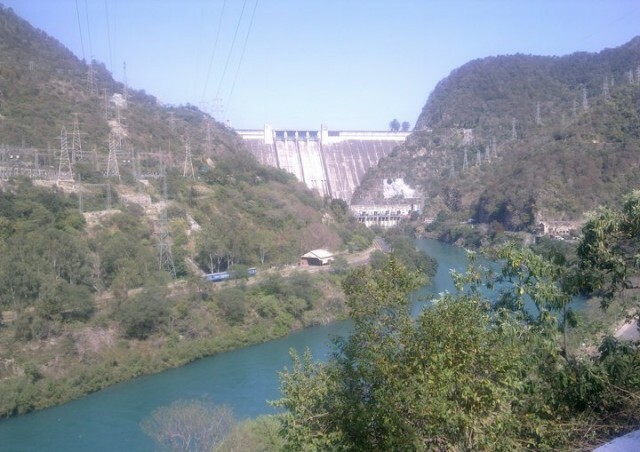 This park came into being after the Parvati river catchment area which ran contiguous to GHNP’s northern boundary was notified in the form of Khirganga National Park. This initiative helped in giving a significant biological diversity and physical protection to GHNP. Located in Paonta Valley in Himachal, Simbalbara National Park woos tourists with its diverse flora and fauna. The Paonta Valley is situated in Sirmour District and covers a total area of 27.88 Km2. You can find the most distinguished species including Sambhar, Goral, Chittal, Spotted Deer, Hanuman langurs, Himalayan black bear, Indian muntjacs and many others in the dense jungles here. Inderkilla National Park in Himachal Pradesh was established in the year 2010. Covering an area of about 104 square kilometres (40 sq mi), it is home to diverse species of fauna and flora. This constitutes one among the holiest places in Lahaul and Spiti. It houses one of the ancient Tabo Monastery built in the 10th century. You will be surprised to see a rich collection of frescoes, thankas, manuscripts, statues, paintings and murals here. The 9 temples, along with four Stupas, and 23 chortens as well as the monks’ quarters in temple complex, make it a must-visit place. Sandstone temples and sulphur springs comprise the unique proposition of Vashisht which is situated 3 kilometers from Manali. Hippies from across the world visit this place. It is also known as a Hindu pilgrimage site, due to presence of many ancient temples of Ram and Seeta. This ancient city lies in the centre of two towns of Kaza and Tabo in Lahaul-Spiti, andda stands at a height of 3,894 meters. It houses the ancient Dhankar Gompa, belonging to the Gelugpa sect of Buddhism. Consisting of the sparkling holy waters, the Mani Mahesh Lake is situated at the base of the Kailash Peak which stands at a height of 5,656 meters in pristine Pir Panjal Range. It enjoys a similar religious importance as that of Manasarovar Lake in Tibet. With glorious glory imbibed in its kitty, Himachal Pradesh has astounding assets in the form of waterfalls, mountains, snow, treks, wildlife sanctuaries etc. The state is also branded as Dev Bhoomi and houses numerous temples and monuments of religious significance. You can also take a dip in Tibet culture in many places here. Overall, if you want to dig into the marvelous past existing in form of fortified forts, while enjoying pristine beauty of nature, this could be the best place where you can offer prayers, wash away your sins, take blessings of Gods and Goddesses and march forward on trekking treks to see green ambience surrounded by snow-laden white peaks amid gurgling and gushing sounds of rivers and waterfalls. So plan your trip now to step towards the paradise existing on Planet Earth in the form of Himachal Pradesh!